Play as a Zombie, Run for the Bats and Collect the Skulls! Help your Zombie Runner to Collect each Skull in the game and score high at this addicting Halloween arcade classic. Run, Collect as much Skulls and shop for awesome convenient items for your hunt at the store! This skull collecting never goes the cool way like other zombie games as jumping on the floating glides is more thrilling. Lost it will make your life last for it. Keep an eye on your zombie life, get more power ups and unlock new enemy, the BATs! Get to kill the bats by unlocking this future. You'll have fun racing all the way through this skull hunting Halloween game. 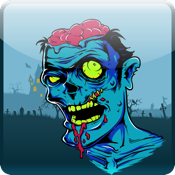 Extra lives for your Zombie Runner stop from smashing at this addicting game. Move without interludes using the Extra Trampolines. Collecting Game equipments take your zombie runner through the wild hunting adventure. Buy extra broom sticks to fly, avoid the slides. 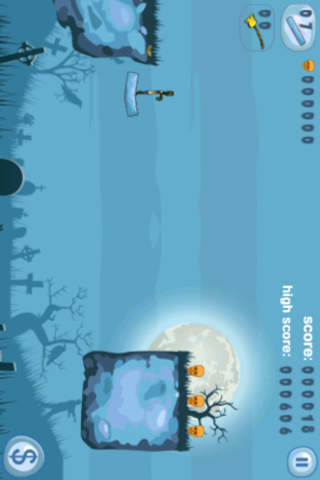 Hunt the skulls by tilting your haunted device side to side. Take your Zombie where you need to go.